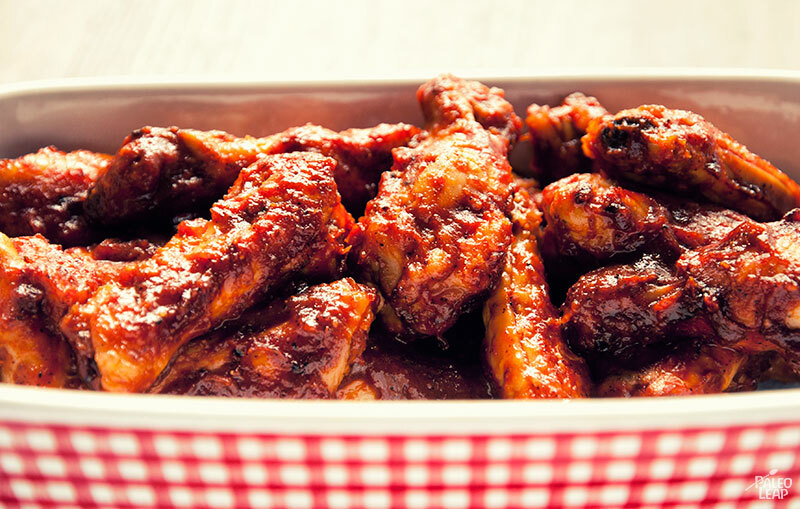 Here’s an easy crowd-pleaser to add some flavor to a weekday dinner: oven-baked wings in a quick and simple barbecue sauce. You can adjust the recipe to feed however many mouths you have (just add more chicken wings if you need them), and if you have any leftovers, just stash them in the fridge for the next time you get snacky. Unlike most commercial barbecue sauces, this one has no added sugar: you can even skip the honey if you don’t mind it a little less sweet. If you don’t have any homemade Worcestershire sauce handy, you can also substitute coconut aminos. Coconut aminos are a Paleo-approved substitute for soy sauce; you can buy them at most major grocery stores (especially any place with a slightly health-food twist) or online. There’s a ranch dressing recipe here (scroll down) if you’re looking to add some celery sticks in ranch for the full “wing night” experience. Or you could try something a little different by going with sweet potatoes (try them spicy or even bacon-enhanced) or a quick side salad to add some refreshing crunch without needing to make a batch of ranch. Just make sure you’ve got plenty of napkins handy, and you’ll be all set for a quick and delicious dinner. In a bowl, combine all the ingredients for the Kansas City BBQ sauce and season to taste with salt and pepper. In a large bowl, combine the chicken wings with the BBQ sauce, and toss gently to coat. 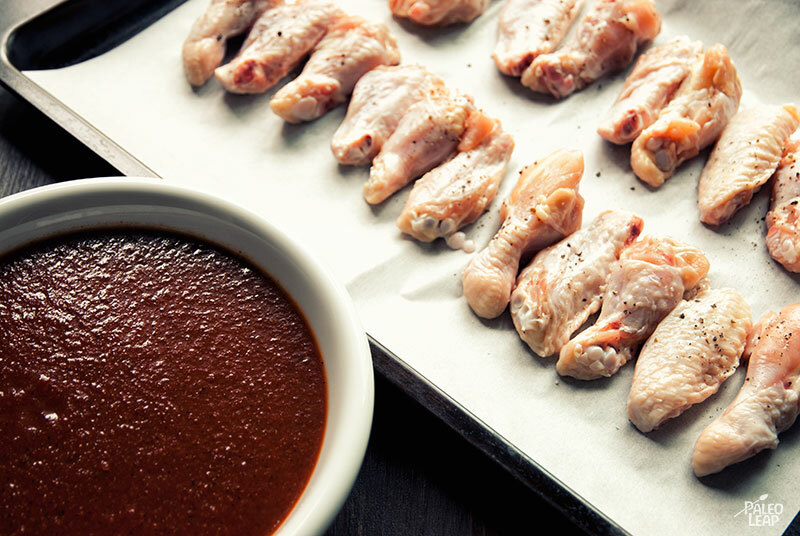 Place the chicken wings on a baking sheet and line them up in a single layer. Bake in the oven for 20 to 25 minutes. Serve warm.